I have a list of about 60 domains that i own. 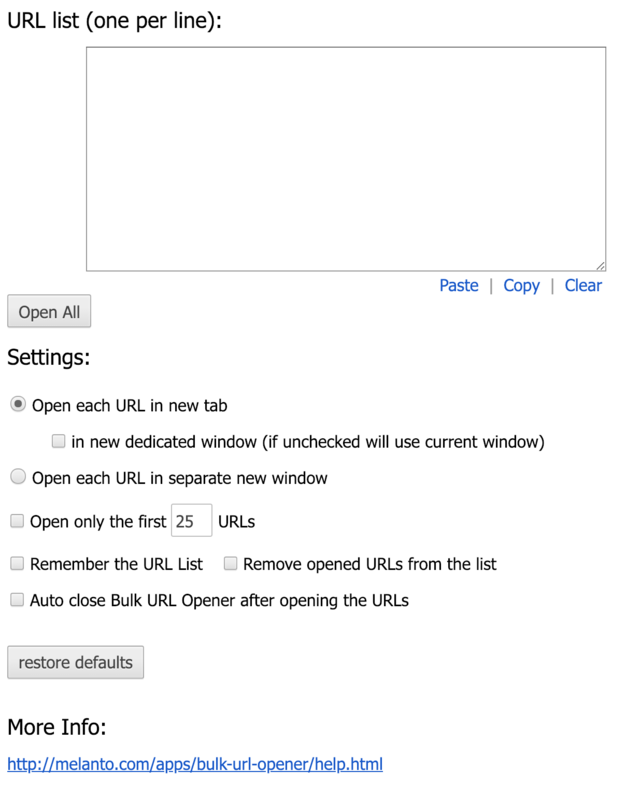 When i want to change a text on each site i have to open them every time manually. Here you can copy & paste all of your domains line per line. In my case it is just a copy of a Excel table column. When you select open all, all of your domains are getting opened in Chrome Tabs. 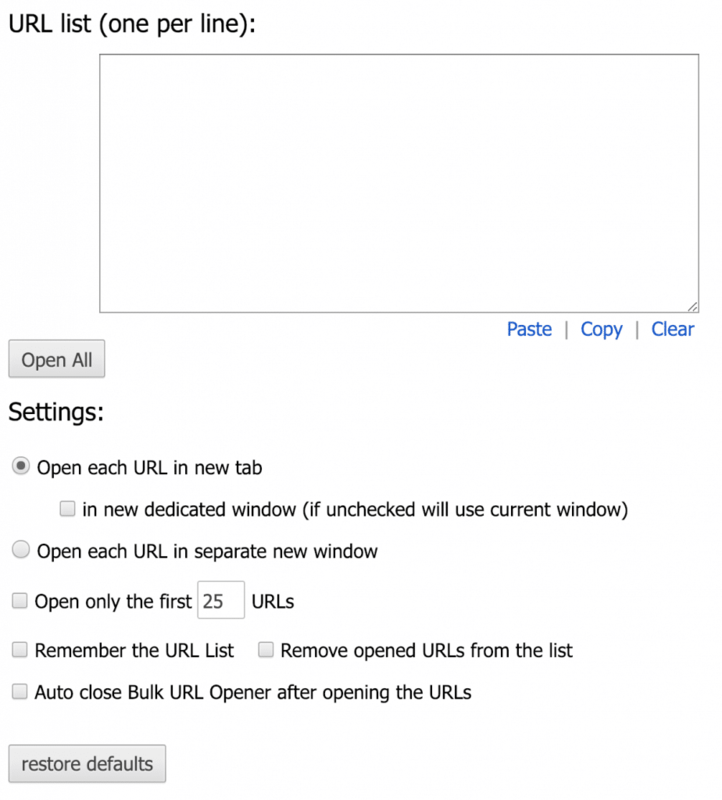 Thats the way how you can open multiple URLs in your Browser.